National fables can be the ultimate enablers of mass destruction. One such fable is that the USA was attacked on 9/11 by evil forces the US government had nothing to do with. Question of Nouvel Observateur: The former director of the CIA, Robert Gates, Obama’s Defense Secretary, stated in his memoirs [“From the Shadows”], that American intelligence services began to aid the Mujahadeen in Afghanistan 6 months before the Soviet intervention. In this period you were the national security adviser to President Carter. You therefore played a role in this affair. Is that correct? Brzezinski: Yes. According to the official version of history, CIA aid to the Mujahadeen began during 1980, that is to say, after the Soviet army invaded Afghanistan, 24 Dec 1979. But the reality, secret until now, is completely different. 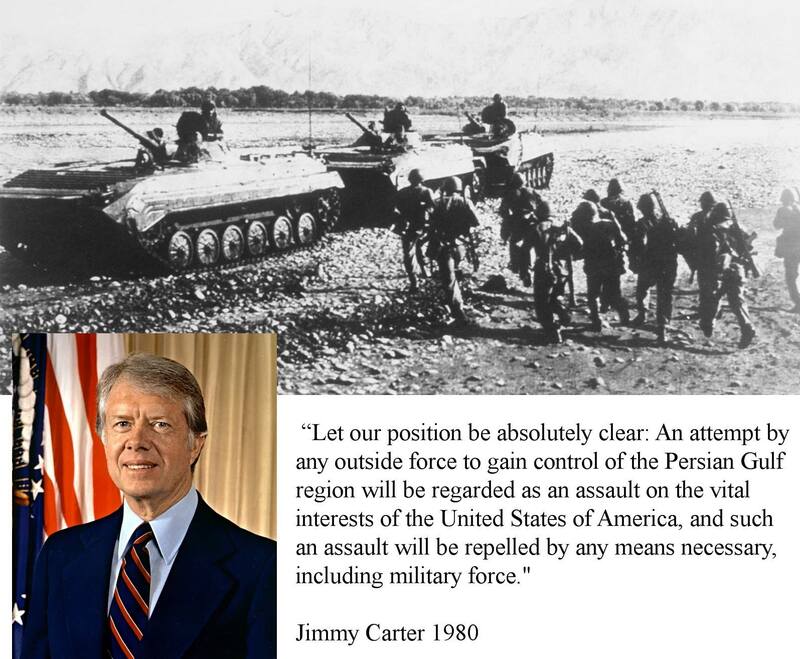 Indeed, it was July 3, 1979 that President Carter signed the first directive for secret aid to the opponents of the pro-Soviet regime in Kabul. And that very day, I wrote a note to the president in which I explained to him that in my opinion this aid was going to induce a Soviet military intervention. B: It isn’t quite that. We didn’t push the Russians to intervene, but we knowingly increased the probability that they would. Q: When the Soviets justified their intervention by asserting that they intended to fight against a secret involvement of the United States in Afghanistan, people didn’t believe them. However, there was a basis of truth. You don’t regret anything today? B: Regret what? That secret operation was an excellent idea. It had the effect of drawing the Russians into the Afghan trap and you want me to regret it? The day that the Soviets officially crossed the border, I wrote to President Carter. We now have the opportunity of giving to the USSR its Vietnam war. Indeed, for almost 10 years, Moscow had to carry on a war unsupportable by the government, a conflict that brought about the demoralization and finally the breakup of the Soviet empire. B: What is most important to the history of the world? The Taliban or the collapse of the Soviet empire? Some stirred-up Moslems or the liberation of Central Europe and the end of the cold war? Q: Some stirred-up Moslems? But it has been said and repeated Islamic fundamentalism represents a world menace today. Thus the USA did attack the Democratic Republic of Afghanistan. The CIA and its Saudi equivalent got the good idea of recruiting a god crazy scion of Saudi Arabia’s second plutocratic family, Bin Laden. It was a good choice: Bin Laden was also an engineer and a manager, he quickly organized a powerful army of fanatics well-financed by friendly plutocrats. The CIA suggested to attack soft targets, such as schools, and the tactic was highly effective. After 2001, the USA installed in Afghanistan a theocracy (as a holy book is the basis of its constitution). By “Any Outside Force” Carter Meant The French Republic Private Mining Companies, Not Just The Soviet Ones. Read Between The Lines. Theocracy comes naturally to the USA. The Bible provided with a mood favorable to holocausts, as, after all, the god found in the Bible so indulged. Thus the Bible was central to enabling the eradication of the original inhabitants (and doing so with a good conscience). On January 21 a benediction was given on the steps of the Capitol as part of Obama’s election. In a discourse that the worst of the Taliban no doubt applauded, Rev. Luis Leon informed us that “without the blessing of God” we would be abominable monsters. It was fascinating to see the leadership of the USA bowing to the Reverend’s horrible declarations. The situation in the Republique du Mali is completely different: it’s a secular state, an independent democracy, which called the United Nations to intervene, and the UNSC agreed, unanimously. The French Republic is just implementing that resolution. For seeing the war of the USA against Afghanistan in a wider context; https://patriceayme.wordpress.com/2010/09/17/obama-commemorates-911-his-way/. 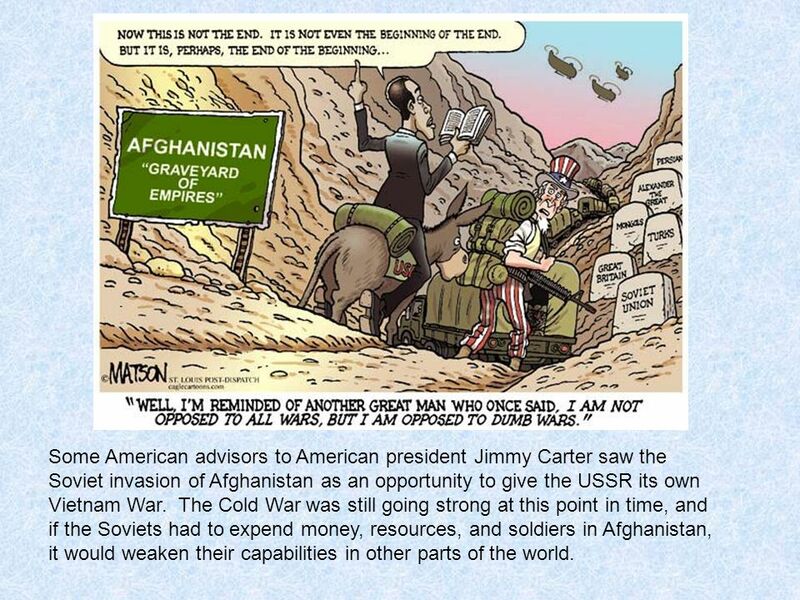 An obvious argument is that it did not escape USA strategists that the resources of Afghanistan were best tapped by the USA, rather than by France and the USSR. This entry was posted on January 21, 2013 at 11:58 pm and is filed under American History, Plutocracy, Systems Of Moods, Systems Of Thought, USA. You can follow any responses to this entry through the RSS 2.0 feed. You can leave a response, or trackback from your own site. Beyond Obama’s perfunctory lip service to his fellow countrymen’s devotion to theocracy (rather than to God), his speech was a declaration of war on Republicans and a repudiation of bipartisanship. Any chance this is for real? or is it lip service too? Dominique: we will see. As I have been saying, so far Obama is just an appendix to Bush. As symbolized by the Nobel he got without doing anything (like many Americans prior), so far he did nothing. The famous ACA (Obamacare) is delivering some positive stuff, but, clearly, even more poison, as I had anticipated. Now Obama seems to become aware of this: he mentionned COST of healthcare for the first time. We will see if it’s real. As I have argued in “Obama Unchained”, he has nothing to lose. What infuriated me a few years back was that a person close to Obama for decades just confessed they had had to do later, “it’s just a matter of showing up”. Well, history is not just a “matter of showing up”. Neither do i appreciate the ongoing fact that Obama surounded himself with dimwitted crooks… Just because they were there (see Susan Rice, and others whose names is not known from the public). If one is surrounded by apolitical greedsters, one can’t impress history. But anything could happen. Say war with China. Perhaps you would like to tell us how many Afghans were killed by other Afghans: the Taleban, who specialize in blowing up people at weddings and funerals? Dear Chris: The USA spent enormous resources, starting in the mid seventies, to pay Afghans and Pakistanis to kill little girls in Afghanistan, in an effort to create a civil war. My father, a geologist, friend to Dr Lapparent, who led teams that discovered the riches of Afghanistan, sometimes accompanied by my mother. Then, Afghanistan was totally safe. They visited Afghanistan several times in the 1970s before the pseudo-religious goons paid by Uncle Sam made their influence felt. The USA created the hatred, using tele-robotics, so to speak, throughout Afghan society. The rest is a matter of inertia of hatred. The Taliban was late in appearing. It happened in the 1990s, after a decade of CIA imported Bin Laden. The Taliban was brought up from children in refugees camps in Pakistan, manipulated by the Pakistani services, themselves under USA manipulation and USA orders. The USA has been behind the Islamization, fanatization and even nuclearization of Pakistan. Nuclearization??? Bush gave hundred of millions of dollars to perfect PAKISTANI NUCLEAR WEAPONS. How will the fanatical pro-Americans, the fanatical pro-Washington DC, explain that one? If nothing else, this was a violation of the Non Proliferation Treaty, enough to indict Bush as an international traficker in nukes (no less)! Hey, what could be better for the USA than another world war, out there? Not to worry: China’s Mr. Xi, in a runaway psych mood, may well help… A difference with the 1930s, though, will be that the USA may find itself at war right away (because of defense treaties with Japan). A book I read long ago (forgot title and author) recounted the experience of a Brit field operative in Afghanistan during the anti-Russian insurrection. His job was the drudgery of helping ill-organized insurgents, ferrying weapons, soothing quarrels, coordinating tactical moves, defending “his” guys in HQ against the suits, etc. He told how he was floored when he attended a joint meeting with the CIA and learned the CIA had been training the mujahedeen in urban warfare, including an extensive course on car bombing. Dear Dominique: Yes, same here. I forget my sources. I never visited Afghanistan, but I lived in Iran, next door, and my parents visited Afghanistan several times, going all over, including the Buddhas. My father went there as a geologist, not just a tourist. The CIA told bin Laden and others that the way to do it, was to attack the schools for little girls, because those were impossible to defend, there were too many (!) of them. BTW, I have read Bin laden direct. Too bad he is not around to sing some more. I wonder why. Not. Bin Laden was not the only source of that information, either. And I have talked with Afghans directly (one third of the population fled the country). You can be sure that you will not find the information on the Internet (it’s all manipulated by professionals: when I mention the White House intervention in Afghanistan in Wikipedia, it’s quickly removed, lest Americans read about it!) In this light, 9/11 is something that those who manipulate the USA taught to their own mercenaries… When one comes across such interpretation, it sure all smells very different, does not it? Good thing you asked, Patrice. I not only found the source but the corpse. I fell to a hoax. Well in a hotel room in Jordan in the nineties, no way I could know. Rats. My fondest apologies to the CIA. Dominique: Well, I read the story, and other stories related to it (my computer crashed in the meantime, so I lost quotes I had gathered). It seems to me that it was mostly true where it’s really embarrassing. The plutocrats and their agents use their tried and true methods of character, it not outright assassination, and massive carpet bombing with red herrings, I am so familiar with (I was bombed once, by some fascists, and, although someone inches from me was gravely mutilated, and nearly died, there was, well, no official inquiry, although, be it just from my testimony, it was easy to convict the individuals who prepared and threw the IED… I had talked to them in preceding times). This sort of carpet bombing propaganda works splendidly; I lost about all and any friends in the USA when I begged to differ about Bush’s Iraq war. To say that the USA intervened in Afghanistan in the 1970s is viewed as a mark of mental imbalance, insanity, let alone infamy… A few days ago a “poet” gave the official poem at Obama’s inaugural. He said “good morning”, or “good day” in many languages. He just forgot French, the other official language of North America. OK, he did not really forget, I am sure. It’s a war out there. In the end, the CIA is just a tool. They, too, like to be employed, and live well… They are intelligent about what they are told to be intelligent about. They should focus on China and Pakistan. The danger there is clear and present. I have never forgotten those words. The “suicide bomber” has thrown a monkey wrench into western defense strategy. For 40 years, airlines have been matching baggage to passengers because they PRESUMED that nobody would travel on the same plane that is carrying the bomb in their suitcase. All that computer equipment and bar-code stuff for naught. And, thanks to the shoe and underpants bombers, we are practically strip searched. When I was a kid, in the propeller era, there was a major plane crash every month or so. Yet people flew. We have lost 4 planes to terrorists – and NONE to bombers. Yet, we do NOT say, get those security thugs out of here – I’ll take my chances. Dear Old Geezer Pilot: I am not sure I understand your question. However I understand that MENTAL INERTIA has been much neglected in human affairs. Thus often people think, or feel things inappropriate to the changed circumstances, just because they thought and felt that way before. For example underestimating it has been the main cause of Obama’s dismal first term (I don’t see ObamaCare, ACA, as a success, as it did not achieve anything IRREVERSIBLE, or really practical; by forcing that fight against inertia laden windmills without doing (say) Cap & Trade or a biting anti-corruptocracy reform, Obama left untreated what he could have treated, and treated what he should have left alone…). I also think that terrorism has to be fought upstream (all the way up to the universities and academies of the West). Hence my “Washington Taliban” observations. If the most honored thinkers (like Luis Leon) are just Taliban, then of course Taliban will be strong. Some of the so called “multiculturalism” is just anti-civilizational, and Talibanic (so to speak). I say this, although I am highly multicultural myself. But although civilization is multicultural, multiculturalism is not civilization. Old Geezer, IMHO the problem in (and with) Pakistan is not the pervasive influence of the military, it is the insidious presence of radical Islam in the military, and especially within ISI, brought about by the nearby war. You never know, when speaking to an officer (who is invariably spruce and courteous), if he is a secular soldier, a closet jihadist or both and maximizing his income. (the cases of China and N. Korea are different because the army there is really a corporation, with all the bellicose instincts of plutocratic monopolies). Of course where you are right is that the military tends to be corrupt and unprincipled. Going over to the dark side never is a big issue for them. I recall how Sudan’s Marshal Numeiry used to treat radical Islam with amused contempt; when push came to shove he saw the light and enlisted under the green banner with commendable alacrity. Dominique: I agree. The mentalities of theocracy (“priests”), greed (“filthy rich”, those Jesus scorned), fascism and tribal corporatism (the latter two rife in the military) are different. They all fall, according to my semantics, under the banner of plutocracy, the rule of satan, but they are various aspects, dominant in various parts of the brain. One can see that struggle, for centuries in imperial fascism “Principate” Rome. The military confronted the Senate, starting with Augustus (who cleaned the Senate his way). Finally, starting with Diocletian, the military allied with the priests (with a quick change to the para-military Catholic Orthodox church, thanks to the ruthless Constantine). Theocracy depends upon the superstitious mental mode, where the imaginary world displaces the real one. That makes it immensely effective at war. For example in Mali, the Fundamentalists charged with tank like equipment on top of flimsy vehicles. Because they don’t mind if they die. That also means they can cover enormous distances, while carrying enormous firepower. (It’s a bit the problem of the Nazi sickle move after may 19, 1940). It’s also why the Muslims swept all in front of them (before and) after 632 CE… Until Duke Eudes outmaneuvered them at Toulouse in 721 CE (Constantinople had defeated them at sea, using Gregian Fire earlier). There is no doubt that, out there, thousands of Fundamentalists would not hesitate to use nukes, and that it would launch Argameddon would be, for them, a further seduction. It would be harder to find military men so disposed. For example if the Chiness military came to believe that they risk a nuclear exchange because of their obsession with a few ridiculous islands, that would give them pause… But not so, indeed, for the genuinely crazy with god. Thus the penetration of Pakistan by Allah is a real problem. And there is worse than that. Afghanistan was a wound the USA inflicted to itself: the intervention of the USA there was in the mid-seventies (CIA, through Pakistan), and the White House gave a secret war order on July 3, 1979. The CIA brought later Bin Laden and Saudi money and agents. The war in the Sahara is completely different. Fundamentally, it’s an undercover maneuver by feudal states in the Middle East to create a powerful Fundamentalist wave than then they can use to justify their own tyrannical rule. It’s seriously devious, Machiavellian. The resulting civil war, in Algeria alone, killed more than 100,000 people, in the 1990s. Because the West was distracted by irrelevant Afghanistan, it left the terrorists the opportunity to operate in the Sahara. Yet, the situation is a bit subtle: the Tuaregs’ revendications are legitimate. The French intervention avoided a complete disaster: if thousands of terrorists had invested Bamako (population two million), they would have been impossible to extirpate. Just as there were only a few thousands Nazis to start with, and one ended with millions of them, the same for any terrorist band that is allowed to control any significant territory. The attitude of the USA has been amazingly short sighted and hypocritical, as usual. The only reason why the Nazis were allowed to kill 50 million Europeans was that Washington got involved ONLY WHEN Hitler himself declared war to the USA on December 11, 1941 (4 days after Pearl Harbor). German generals had declared that, if the USA joined France in 1939, they would have made a coup against Hitler. Instead the USA helped Hitler, and informed him of the coup threat, leaving the German generals in a quandary (finally they made their proposed coup, 5 years later, in July 1944… way too late, after the power of the Nazis had grown. So good people in Washington have to resist the temptation of letting France fight alone, once again (with insufficient British help). Alexi Helligar In the cold war against the godless Soviet Union, the Mujahideen was seen by the US religious right as fellow faithful warriors. American fundamentalists have more in common with the Bin Laden and the Taliban than they like to admit. Once the Soviets were defeated the religious rabble inevitably turned on each other. That is very interesting, Patrice. I was unaware that Carter had actually initiated something that effective. My memory of Carter was around Iran, which was not exactly textbook effectiveness at work.